We’d love your help. 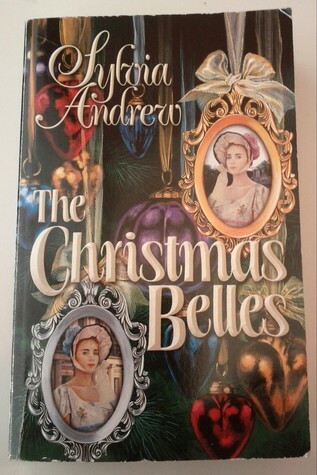 Let us know what’s wrong with this preview of The Christmas Belles by Sylvia Andrew. REISSUE of ANNABELLE published in October, 1998 and ROSABELLE published in December, 1998. Rosabelle. Mrs. Rosabelle Ordway badly needed a holiday from her London home, but the only way was to change places with her identical twin in Berkshire. Philip Winbolt, Annabelle's neighbor, soon began to suspect something. "Ann REISSUE of ANNABELLE published in October, 1998 and ROSABELLE published in December, 1998. Rosabelle. Mrs. Rosabelle Ordway badly needed a holiday from her London home, but the only way was to change places with her identical twin in Berkshire. Philip Winbolt, Annabelle's neighbor, soon began to suspect something. "Annabelle" had changed toward him. She was someone he could adore--but Rosabelle couldn't tell him the truth, for she was in great danger. To ask other readers questions about The Christmas Belles, please sign up. Couldn't finish the first part of the book (Rosabelle) unfortunately. The heroine's continuing deception of the hero just got repetitious and boring, since the only thing preventing her from coming clean about it was her own lack of courage. Enjoyed the two stories, probably liked the 1st story a bit better. Annabelle made a couple of decisions concerning her safety that drove me crazy. But, overall, the switching places stories were fun to read. This has got to be one of my fave romance reads! It's got the romance mixed in with suspense plus it's got the dual perspectives which I love as well. Loved this! Really good mix of romance and suspense. Sylvia is a great reader, whose preference in fiction is for thrillers and historical romances. She married Simon Andrew, the boy next door, and they have one daughter, Catherine, who is married and works in London. Catherine lives in Maidenhead quite near the river, and they have a small house in Normandy, which they visit whenever they can. They are great travelers — from a shopping weekend in P Sylvia is a great reader, whose preference in fiction is for thrillers and historical romances. She married Simon Andrew, the boy next door, and they have one daughter, Catherine, who is married and works in London. Catherine lives in Maidenhead quite near the river, and they have a small house in Normandy, which they visit whenever they can. They are great travelers — from a shopping weekend in Paris to a three week tour of Vietnam on a bicycle!